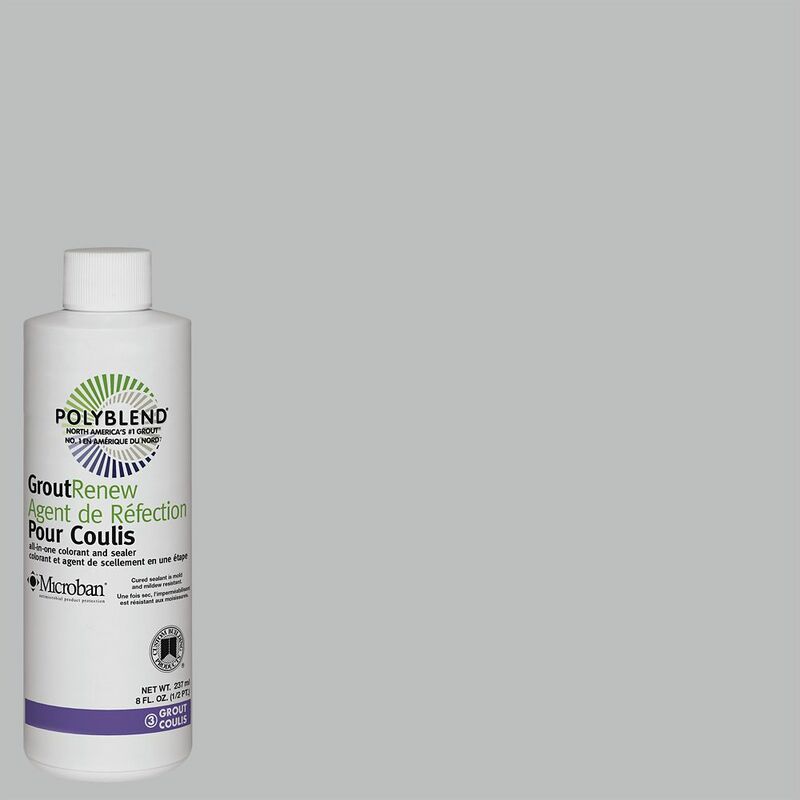 Polyblend Grout Renew Colorant is a water-based, acrylic, urethane stain and sealer for renewing or changing the colour of cement grout joints. It seals against stains while it colours. Contains patented technology to inhibit mould and mildew. Custom Building Products #122 Linen Sanded Grout 1 Lb. Polyblend's unique formula offers colour consistency, fast setting time and a smooth texture for easy spreading and cleanup contractors prefer. Unmatched for its rock-hard curing properties, it produces dense joints that are highly resistant to shrinking, cracking, powdering and wear. Polymer-modified mix with water for any tile or stone installation. Meets ANSI A118.6 specifications. #115 Platinum Grout Colorant Polyblend Grout Renew Colorant is a water-based, acrylic, urethane stain and sealer for renewing or changing the colour of cement grout joints. It seals against stains while it colours. Contains patented technology to inhibit mould and mildew. #115 Platinum Grout Colorant is rated 4.6 out of 5 by 18. Rated 4 out of 5 by Healthpointe from The product is excellent, but you have to mix it... The product is excellent, but you have to mix it 50/50 with "Bright White GroutRenew", to match the color of the "PolyBlend Platinum" grout. Rated 5 out of 5 by Hank from Worked great!... Worked great! Rated 5 out of 5 by NEDROLIZA from BIG TIP: YouTube the application of this product before you... BIG TIP: YouTube the application of this product before you start! There are some folks out there who will help you with technique and save you a lot of time. Product is very effective and is a huge tile improvement for the price as long as you don't mind a little sweat equity! Rated 5 out of 5 by liz from Made almost 40 year old tile look new!... Made almost 40 year old tile look new! Rated 5 out of 5 by pearlsplaytime from Works like a charm.... Works like a charm.